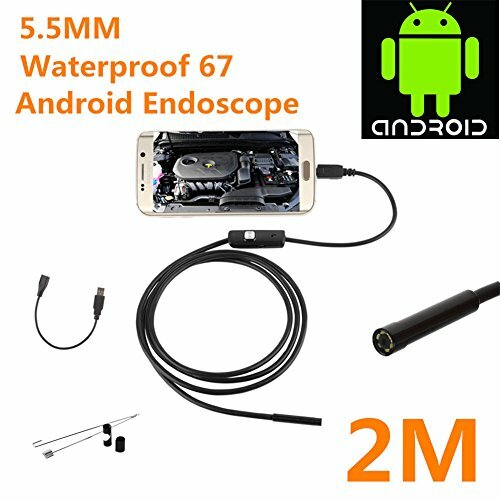 Observe details in small untouchable corners with the plug-and-play 2m long endoscope and your mobile Android devices ( OTG functionality required ). 0.3MP photos and 480P videos will be directly saved on your devices for follow-up review. IP67 waterproof rating, 6 LED lights with adjustable brightness to work in different environments. Comes with a side-view mirror to change the view; a hook and a magnet to get things out from a narrow space. If you have any questions about this product by Aoile, contact us by completing and submitting the form below. If you are looking for a specif part number, please include it with your message.